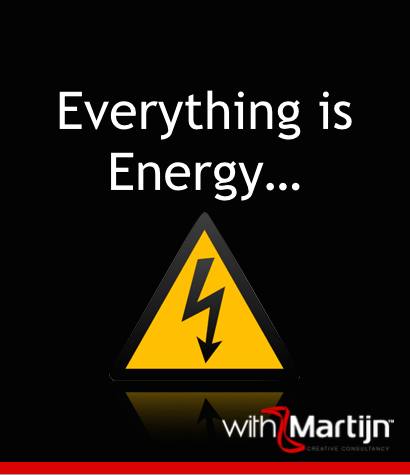 Albert Einstein stated “Everything is energy and that is all there is to it. Match the frequency of the reality you want and you cannot help but get that reality. It can be no other way. This is not philosophy. This is physics.” Your own energy is therefore an important resource. One every Marketing Superhero should actively manage, in ensuring getting the results he desires. 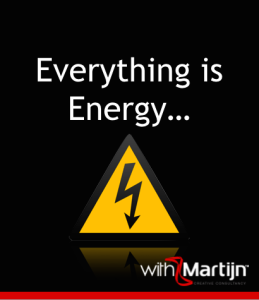 A true Marketing Superhero knows where he and his team members get their energy from. We all know the difference between introverts and extroverts. We often depict the first category of people as being more shy, the ones standing quietly in a corner of the room. While the later wants to be the centre of attention at every occasion. While I have seen these stereotypes occasionally be true, I believe the real distinction between an introvert and an extrovert is where they get their energy from. Introverts can be highly sociable and talkative people. They aren’t necessarily quiet, dull folks. However they need to be by themselves in order to replenish their own energy levels. Either by reading a book, talking a walk or performing any other activity they prefer alone. Extroverts, on the other hand, fuel their batteries in the interaction with people. Ideally in a face to face situation, but talking on the phone or via Skype can work just as good.